With the season spiraling downward, the New York Mets need to stop delaying the inevitable and take care of Juan Lagares' lingering elbow issue. The center fielder's season ended prematurely last September due to a sprained right elbow. At the time, the Mets didn't mention Tommy John surgery as a necessary measure, but the condition hasn't improved, and it's affecting his ability to perform at the high level that's come to be expected of him defensively. Lagares has garnered renowned praise early in his career for consistently tracking down balls that appear destined for the left- and right-center field gaps. But the 2014 National League Gold Glove winner's reputation as one of the better outfielders in baseball extends beyond the outstretched arm he uses to haul in fly balls, leaving fans in awe. In his first two seasons patrolling center field in the Big Apple, Lagares exhibited a cannon for a throwing arm. 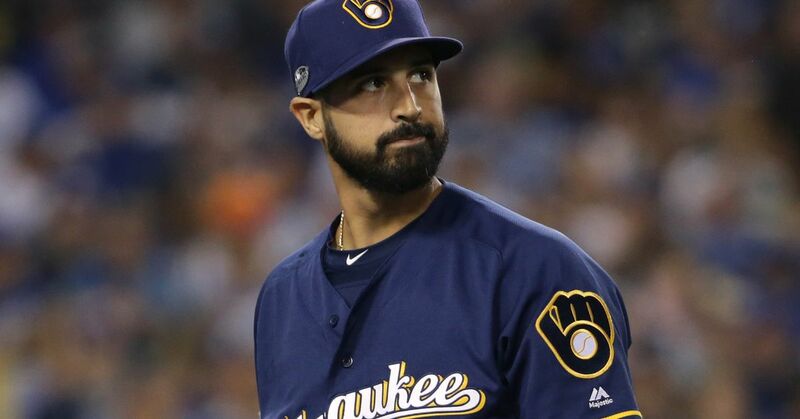 He gunned out 15 runners on the base paths his rookie season, and though that number dropped to six in 2014, it was only because word got around the league that he's not one to run on. Positioning has a lot to do with it, as Lagares' range allows him to play shallower than most center fielders, thus making for shorter throws to the plate. It also helps that he closes in on ground balls up the middle so quickly. Still, there's no denying the difficulty level of some of the throws he's made. Momentum-altering plays like that have been sparse in 2015, however. Almost three months into the season, Lagares has just two outfield assists. It's evident in his body language upon reeling in fly balls with men on base that something isn't right physically. TC says he’s not concerned about Lagares’ arm strength. But scouts during road trip were questioning it. While it's been clear for some time now that New York's stud center fielder isn't 100 percent, Mets manager Terry Collins confirmed what many feared. There's only a couple of things you can do. One would be to have Tommy John and the other would be to rest it and just be careful. ... If you take care of it, he's a position player, so he can play with this. ... We've asked him to be smart about when he really wants to let it loose. It's got to be a big situation. It's got to be a situation where he knows he's got to make a play. But just to throw out every guy on the bases like he did early last year, we're just asking for an injury to show up. Well, Terry, if Tommy John surgery is considered a viable option at this point, is it not safe to say that this injury has already "shown up?" 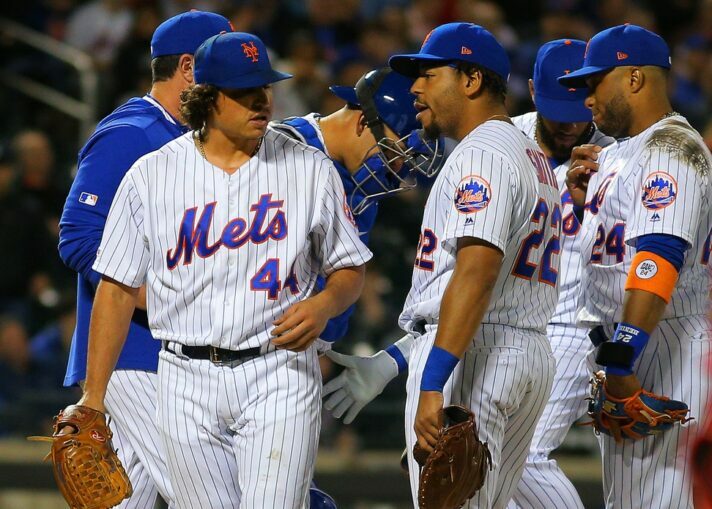 The Mets have lost seven games in a row for the first time since 2011—the latest two defeats coming at the hands of the 27-46 Milwaukee Brewers—and their poor stretch is coming, as the Washington Nationals are starting to play the way most projected coming into the season. At 36-37, New York is three-and-a-half games back of the Nationals for first place in the National League East, and there's a strong possibility Washington takes off from here. During their seven-game skid, the Mets have scored a total of nine runs, and while you have to expect them to get out of this funk eventually—despite an abundance of solid pitchers—there's just not enough talent on this roster to make a serious run at the postseason. There's no point in trotting Lagares out there, only to have him exacerbate the injury and risk losing his services for an extended period of time in future seasons when, presumably, games will matter more. Therefore, it would behoove the Mets to put Lagares on the disabled list now, that way he can have his elbow surgically operated on and still be ready to play at some point in 2016—and not just play, but be capable of saving runs with his throwing arm the way he used to.